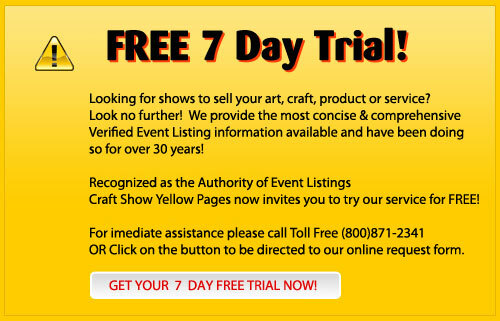 Our daily updated online database of event listings can be accessed 24/7 -365days from where ever you go. Thousands of events to choose from! Browse the current month of events for free. If you're a subscriber you can login with your account information, or send us an email and we'll get you set up. 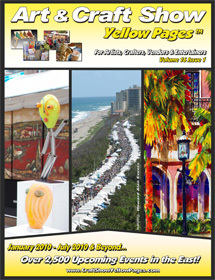 We featured the following artists and craftmen's work on the covers of Art & Craft Show Yellow Pages. 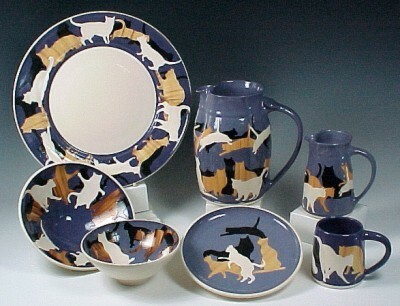 Cat designs - Click to see larger image. 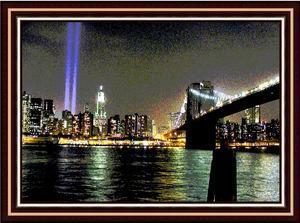 New York City: The Brooklyn Bridge with the Twin Towers of Light - click to see larger image.